Williamstown Rental Housing Co-operative (WRHC) is a community-run, not-for-profit housing organisation which provides accommodation to families in need of affordable housing. Membership provides the affordability and security offered by public housing with some of the benefits of home ownership. Membership and governance of the Co-op is a shared responsibility of its members. WRHC adheres to the International Co-operative Principles to create a community for its members based on equality, stability and empowerment. The Co-op aims to provide an opportunity for members to work together for the common good of all and to promote a sense of connection. The WRHC is governed by a member-elected Board of Directors which ensures that members have valuable input into the functions of the Co-op and which reflects the needs of its tenants/members. 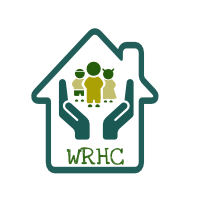 WRHC is committed to continuous improvement of its services and management of its housing stock. As a condition of becoming a member of the Co-operative, members are required to actively participate in the management of the Co-op. This can be through attending General meetings, sub-committee meetings and other committees as they arise. Members also have the opportunity to be appointed as a Director on the Board and to provide input into the operational functions of the Co-op (see Organisational Structure). Being a member of the Co-op provides an opportunity for members to build their social and life skills and reach their potential through access to education, training and personal development. Members also have the chance to engage with each other via regular, funded social activities.